Bitcoin, or any other cryptocurrency for that matter, can be an alluring way to invest your money online. Due to its steady increase in value over the years, people can be eager to get a quick return of investment on their funds. 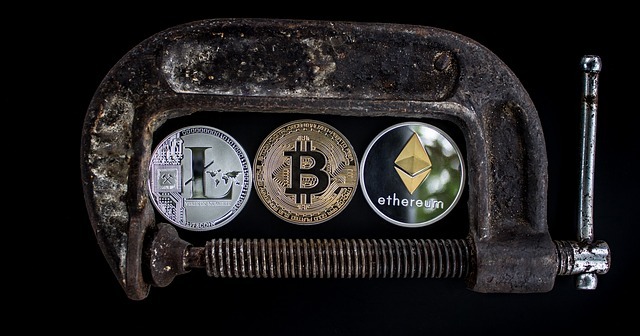 However, the cryptocurrency sector can be full of scams and frauds that can lead people to fall for seemingly attractive schemes and offers to invest their currency. Therefore, it becomes essential for users to acquaint themselves of ways to avoid common cryptocurrency scams. Some of the most common crypto scams can be easy to spot and even easier to avoid. Fake ICOs are often used to promise people unrealistic returns; they pool investors into their ICOs, which later turn out to be a scam. Another way for people to fall victim to crypto scams is through Phishing scams. Often they will receive emails, or see ads in their social media feeds that will entice them to invest in a scam exchange or fake wallet. Such links are usually malware and are used to obtain someone’s personal details. Also Read: How Best To Secure Your Bitcoin Wallet. 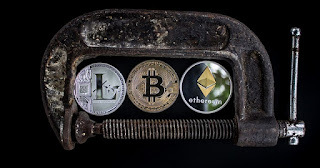 Modern age Ponzi and pyramid schemes are also often used to defraud crypto users. Such schemes basically promise investors absurdly high rate of returns and attracting as many investors as possible. The investors joining later are the ones that are basically being conned out of their money. How to Avoid such Scams? There is always a certain criterion upon which one can evaluate the legitimacy of an ICO. It is always useful to research the company or project initiating the ICO. Often a fake ICO will have a copied or plagiarised whitepaper. Most of the team on a fake ICO will also be anonymous, which again is a red flag. Often a scheme will tell you that the best way for you to get a quick return is to invite more people to invest. Always be aware of such schemes, they might be an elaborate Ponzi or Pyramid scheme. It is unwise to provide your password or any other personal details in an email, or even through a scheme. Identity theft often happens this way. The best identity theft protection one can have is by having KYC verification. Businesses and legitimate schemes usually opt for such measures to verify their users. ID verification and AML compliance can greatly reduce the risk of fraudulent schemes. Projects or ICOs that offer an exceptionally high return are often something to remain cautious of. No single scheme or investment opportunity is so good as to provide you with an unprecedented level of return compared to what is being offered in the market. Only go with a wallet or an exchange you trust. It is useful to do some research or take advice from someone who knows what they are doing. Some deliberation before going into an investment can save you from a world of pain of being scammed. I hope this article actually helps you to avoid cryptocurrency scams.